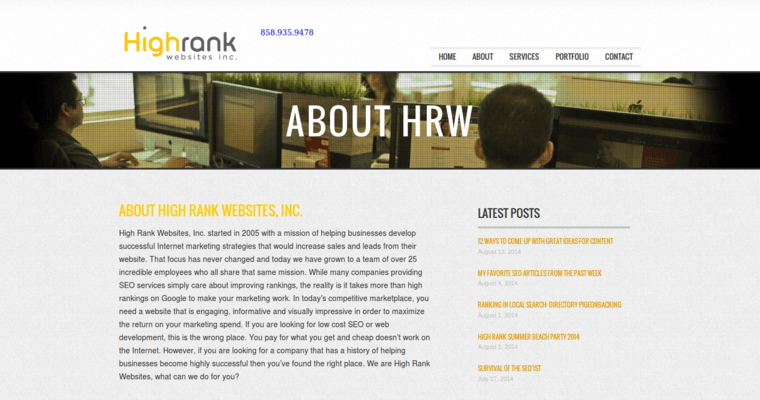 High Rank Websites is a content marketing agency that specializes in data-driven visual content. The company has made a mark on the online marketing industry by standardizing powerful visual storytelling into an innovative, proprietary system that consistently gets results. 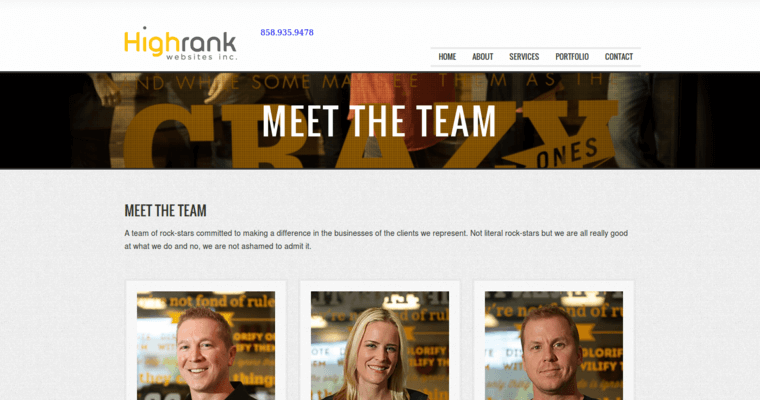 As an interactive firm, High Rank Websites weaves their clients' stories into every published page. In addition to using the latest creative techniques and technologies, the firm employes digital marketing tactics such as search engine optimization to drive online traffic. As a matter of fact, High Rank Websites is being awarded for excellence in the field of SEO because they get their clients placed near the top of relevant search results. 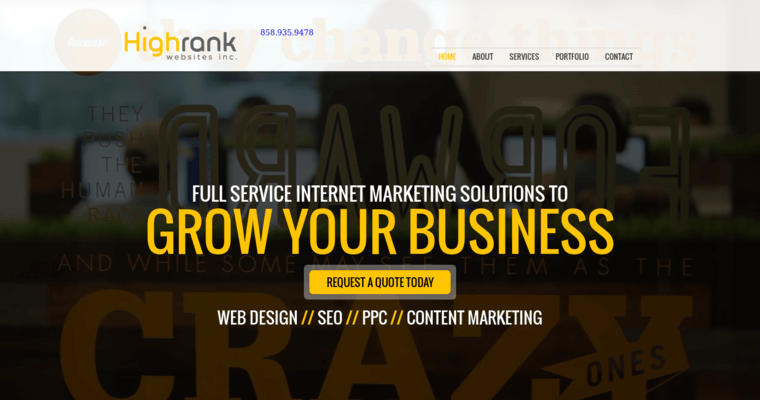 Consequently, High Rank Websites delivers substantial ROI with every project. In other words, the results of this agency's work often compensate for their fees. Such returns help to explain why so many clients choose the agency again and again.